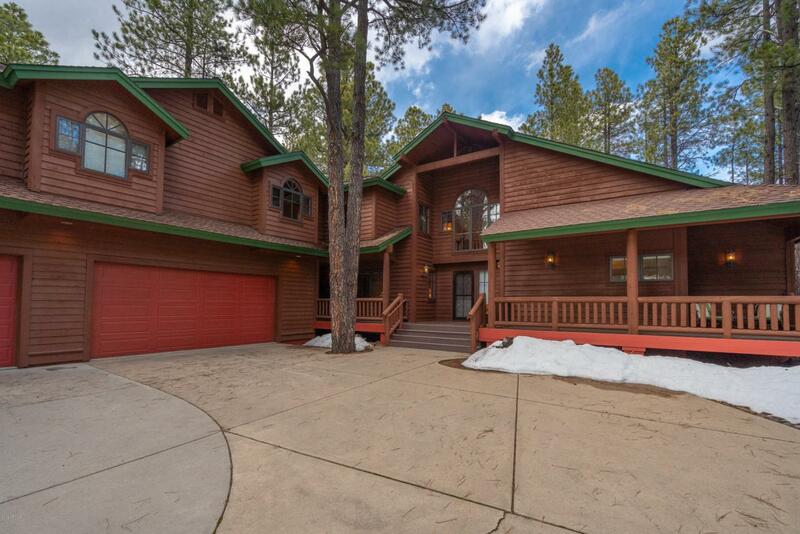 This Fabulous Forest Highlands home is nestled on the par-3 12th fairway of the Canyon Course. 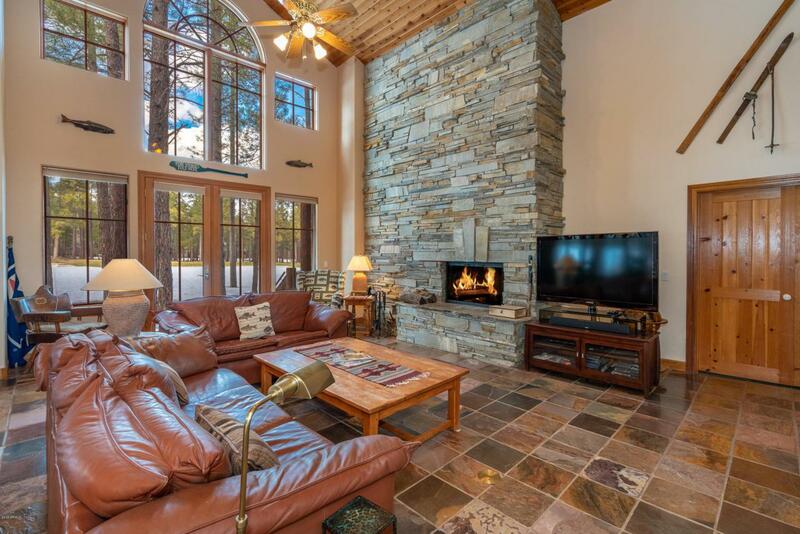 Tastefully decorated with a rustic, mountain feel, this home is a turnkey opportunity as the utmost care has been given by the current owners. The great room has tongue and groove ceilings, slate tile flooring, and gorgeous windows overlooking the golf course with a massive stone fireplace. The kitchen opens to the great room and offers granite countertops, hickory cabinets, and plenty of space for entertaining. The dining area is also off the great room where you can sit and enjoy dinner while capturing the beauty of the Canyon Course. 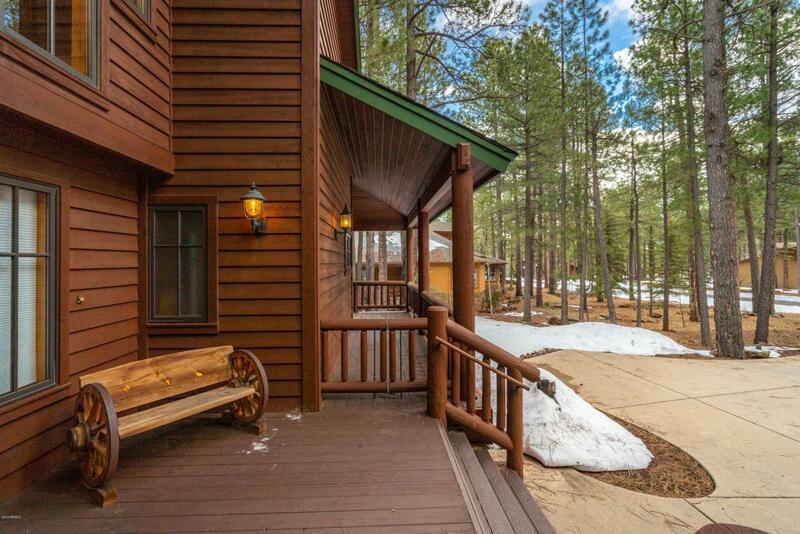 There are 4 large bedrooms and 4 bathrooms, with both the master bedroom and a guest bedroom on the main level. 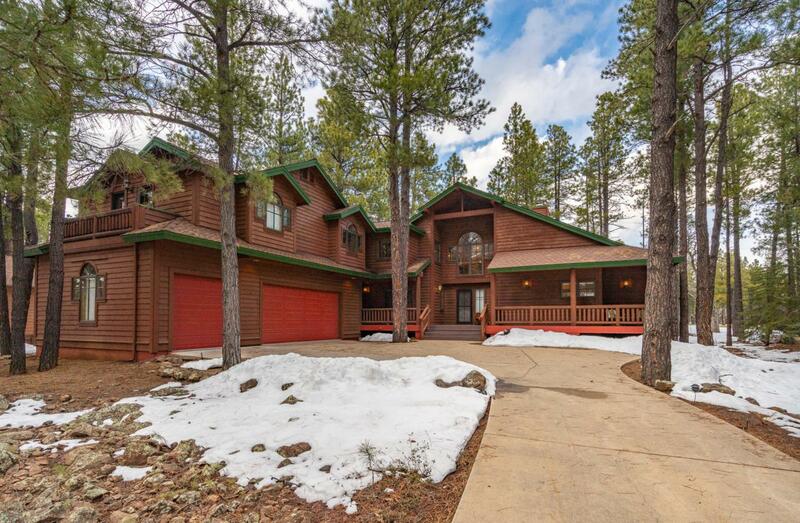 Listing courtesy of Realty Executives Of Flagstaff.